Ireland played their part in grooming Vasily Artemiev for the top, but is the Russia wing now about to return to haunt them? Here is a quick trivia question for the anoraks among you. Which current international winger has won two Leinster Schools Cup titles with Blackrock College and will appear in his first World Cup later this year? You may have run through the Irish back-line and narrowed it down to Luke Fitzgerald, and you’d be right. But you’d also be right if you said Russia’s Vasily Artemiev. Fitzgerald and Artemiev have been on remarkably similar career paths since the latter first appeared at Blackrock College. His parents were keen for their son to have the best education possible so opted for Blackrock College, with its reputation for producing excellent academic results and outstanding young men, as well as having a strong rugby programme. The last point was the clincher for Artemiev himself. The winger, who was first introduced to rugby aged nine in his hometown of Zelenograd, fell in love with the pressure of playing for a school with over 100 years of rugby tradition as soon as he arrived in 2002. “From day one when I came to Rock training I wanted to be a Rock man through and through. When it came to game days you were part of a tight group, it was something special playing for the school,” says Artemiev, with just a lingering of a south Dublin accent. Artemiev’s form saw him selected for the age-grade sides of Leinster and Ireland, before securing a place at the Leinster Academy for two years. While it might sound like a welcome break, it has meant more work. The squad have been working hard all season, with an acclimatisation camp in New Zealand in early January something he doesn’t remember too fondly. “Our strength and conditioning coach has been doing great work, but he pushed us beyond our limits in New Zealand. 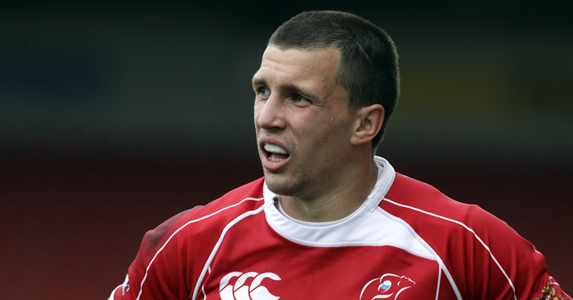 If Artemiev performs to his potential against Ireland, the IRFU may be left wondering about ‘the one that got away’.